July 20, 2016 July 11, 2016 / J.K.
Like other books in the series, you get a short two for one kind of deal here. The first chapter is a brief biography of John Owen. I don’t he is very well known in the Christian community here in America. He was a British puritan living in the 17th century and quite a prolific author. The second major part of the book focuses on the Trinity, with chapters on each, the Father, the Son, and the Holy Spirit. Much of the book is drawn from the works of Owen. I’ve heard of a number of his books, especially Mortification of Sin, but I don’t think I’ve ever read anything from him. It is a timely reminder now, as the controversy of the eternal subordination of the Son so going on, of the importance of the study of the Trinity. I don’t think I’ve ever heard a sermon and participated in a study of the Trinity. This likely has much to do with how difficult the concept is for us to understand. It becomes confusing to discuss and can easily lead to error. I know growing up, I never really understood the three persons to be three independent beings. As in, there was God, whom became flesh as a guy called Jesus, and now speaks through the Holy Spirit. That is, the three persons are just the way that God reveals himself, almost something like taking different forms. Obviously, misunderstanding the doctrine of the Trinity isn’t as severe as deny the resurrection, but it is an important part of theology. Anyone who takes theology seriously, especially those that are pretend theologians, should really make an effort to gain a better understanding. 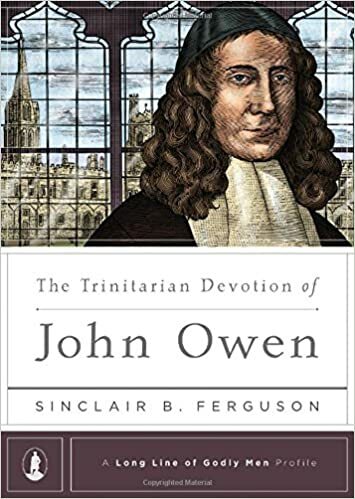 So, if you are looking for something, this is a good intro to the Trinity as well as good info about John Owen. *I received a free copy of this book in exchange for a review (see more in my about page).